RezEasy cloud based property management system (PMS) greatly simplifies hotel operations and reduces manpower costs. Critical operations are automated and managed in real-time allowing your staff to focus on guests. The integrated commission free booking engine and agent/corporate client booking module provide easy to use online booking. Dashboards provide an overview of operations whilst the drag and drop calendars simplify changing reservation dates and room moves. Using the Channel Manager module inventory and rates are updated across multiple channels and your bookings are received directly into the front desk in real-time. 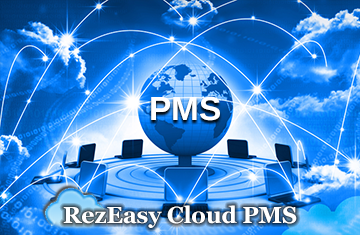 All you need to access RezEasy PMS is a device with an Internet connection. Your system is accessible from satellite offices and you can manage multiple properties from one computer terminal. Online bookings from your website are a must, especially right now. 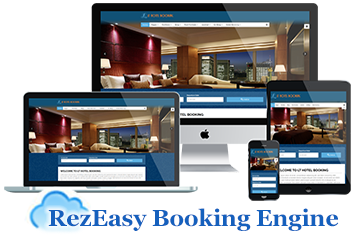 RezEasy Single is the answer to getting your hotel website up to speed and meeting your revenue targets. With no monthly fees or commission to pay the revenue you earn from bookings made on your website is yours. Effectively manage reservations, rooms, rates, promotional codes, special offers and packages. Rates can be set according to demand thus maximizing yield, and you can set special rates for agent/corporate clients. RezEasy's channel manager module allows our program to work in conjunction with distribution channels using two way XML data exchange. Don't close the door to potential guests, use RezEasy to take control of your online bookings today! Using RezEasy Portal travel agents and travel websites can now offer accommodation booking directly from their website (similar to large sites like Expedia and Booking.com). Comprehensive search and result filtering makes it easy for visitors to find suitable accommodation. 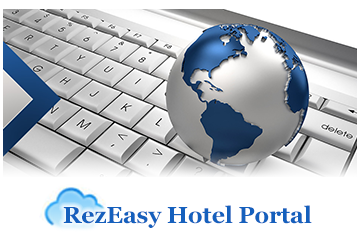 RezEasy Portal offers a huge range of features including pricing options that allow hoteliers to manage their rates according to demand, agent/corporate client booking, promotional codes, special offers & packages. A fully featured back-office system allows hoteliers to manage their data, rates, availability, and view reports. No monthly fees or commission leaves you free to make your own deal with accommodation owners ensuring that your investment is quickly repaid. Existing RezEasy users - Upgrade Now!